Thank you so much for making Friday night such a huge success. Everyone we've talked with says the food was amazing…and abundant. Thank you again. We will definitely recommend you and use you for future events. We also appreciate your donation of chef services, etc. That was very, very nice of you! I can't express how much I appreciate your catering service and approach. The food was delicious - everyone raved about it. Thank you for all of your help! Brett and I just wanted to thank you for the excellent service and food at our wedding last weekend....everyone raved about the food and your staff did a wonderful job. Everything was delicious and amazing.. We've had nothing but praise for the food and event. Just wanted to thank you for a great evening. 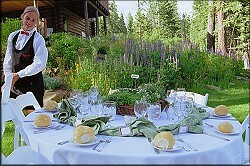 Everything was absolutely delicious and our guests had a wonderful time. Just wanted to say thank you so much for helping us make our wedding so wonderful. The food and service were excellent I couldn't have asked for more. Thank you again for the amazing and delicious food--everyone raved about it and the wonderful meal played a big part in creating a special day we will always remember. Congratulations! 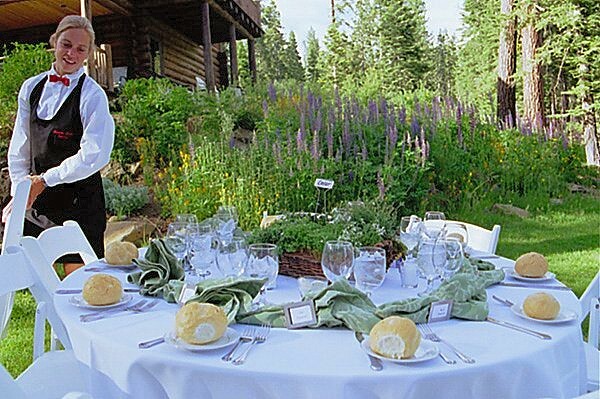 Mountain Magic Catering and Event Planning has just been featured in a new wedding published on Borrowed & Blue!